Smt. 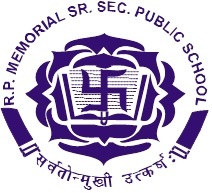 Maluki Devi is presently the chairperson of the school. She has been a constant source of inspiration. She empathetically participates in all endeavors of the school in order to achieve the academic excellence. She feels honoured to recall the students, performance in academics, sports and other co – curricular activities. She encourages the creative talents of the students. She believes strongly that children are the future of our country, so the new generation has to be developed with magnanimous character as they are the pillars of the nation. They have to face the challenges of competitions, so every care has to be taken so that they become competent and confident citizens of India.